This is Awesome or you could say Pawsome ! Have you ever wondered what your pup or kitty is doing when you’re away from home? On the occasions that I can’t bring Little Miss Abigail with me, I’m always wondering what she is up to. Well, now with the Petcube, pet parents, like me won’t have to wonder anymore. 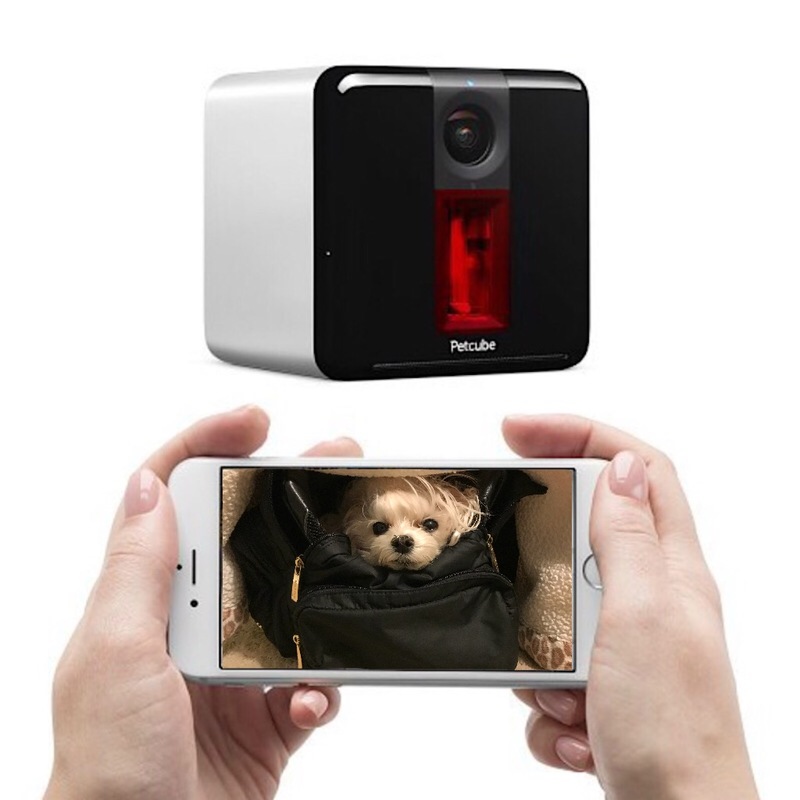 The Petcube is an interactive camera that allows you to stay connected to your fur baby…when you can’t take them with you. When Abigail was just a puppy, I had a webcam set up to make sure she was okay when I was away from the house, but setting it up took hours and after numerous new routers and computers, it was too time consuming to set it up time after time. The Petcube camera allows you to instantly connect, via your home wifi, which is totally great ! And once connected, you can not only see your pup, hear and talk to your dog, but the device also allows you to play with your pup. Yes, play with your pup. Along with it’s cool, sleek and modern design, a built in laser pointer can be controlled on your viewing device to, yes, play with your pet. It’s compact size also makes it perfect to travel with. Check out this video below of the Petcube in action.